We've heard of putting French fries on a slice of cheese pizza; after all, two fast-food favorites together are almost always better than one by itself. 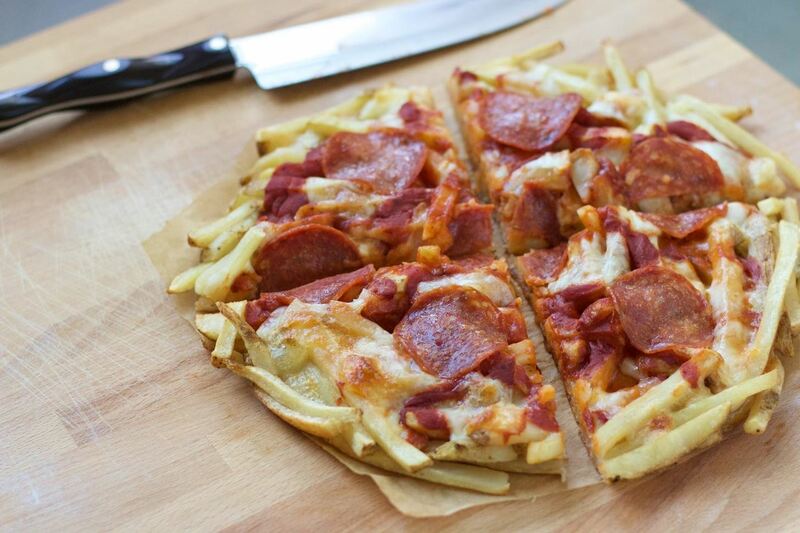 But French fries used as the crust of a pizza in lieu of traditional dough? That's an entirely different ball game. 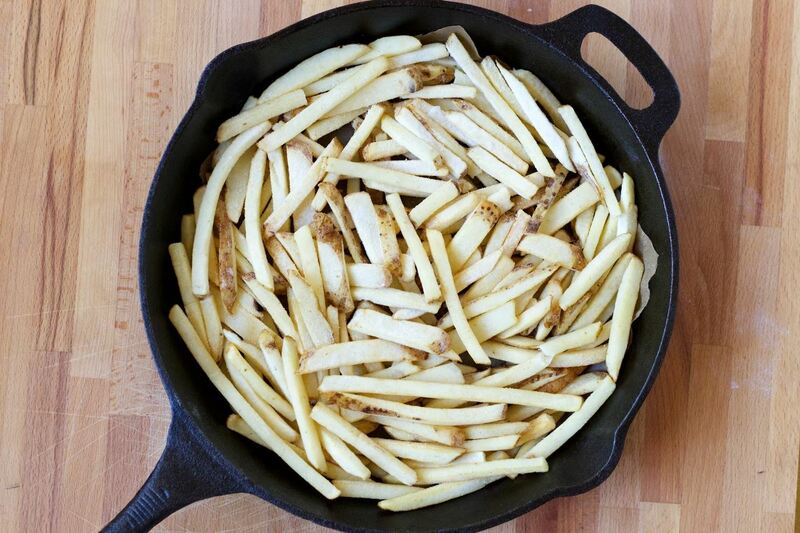 Arrange the fries in your skillet, making sure to create an even weave so that there are as few gaping holes as possible. 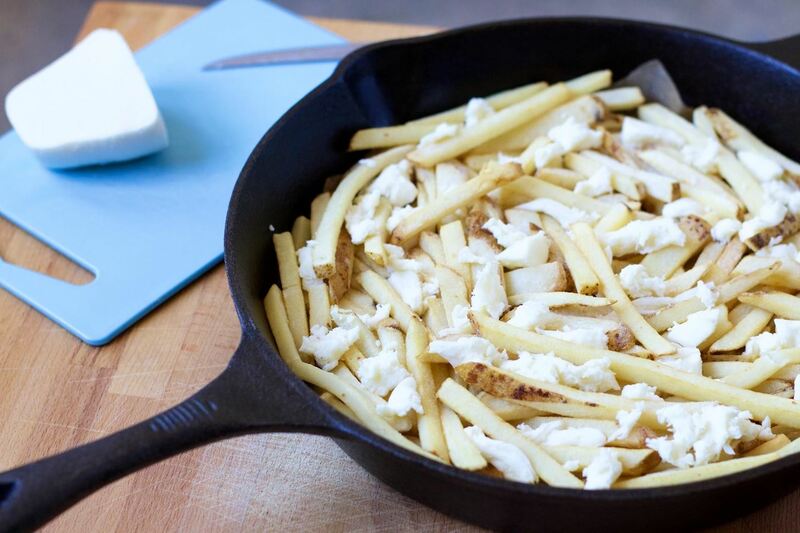 (If you want to make the fry pie easier to remove when finished, use a circle of parchment paper on the bottom before you place the fries in the skillet.) Also, you want the top of the fry pie to be as level as can be. 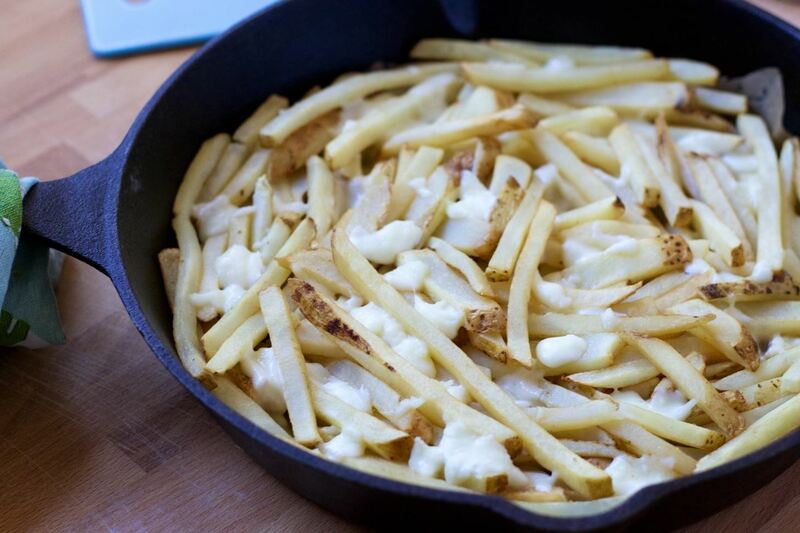 Shred half of the mozzarella onto the French fries base, making sure to get the cheese into all of the little crevices. The cheese acts as your glue and will keep the pie together in one pristine piece. 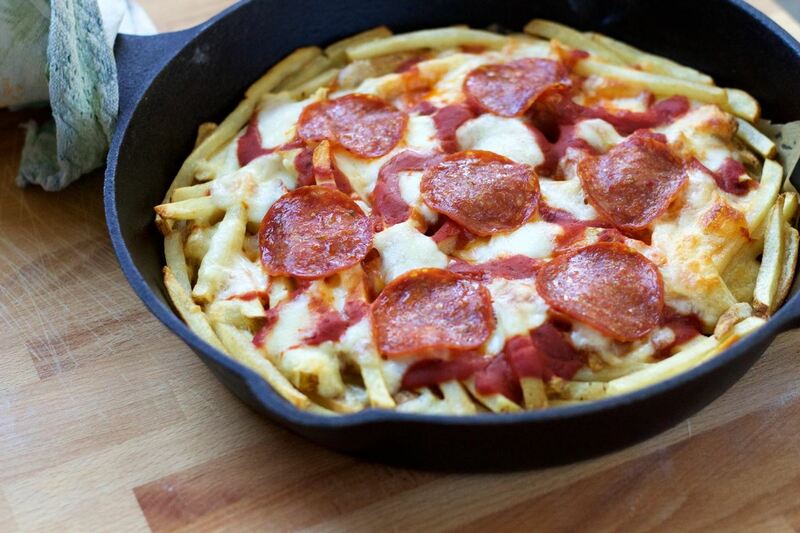 Place the French fries and mozzarella in a 425°F oven for 10 minutes. 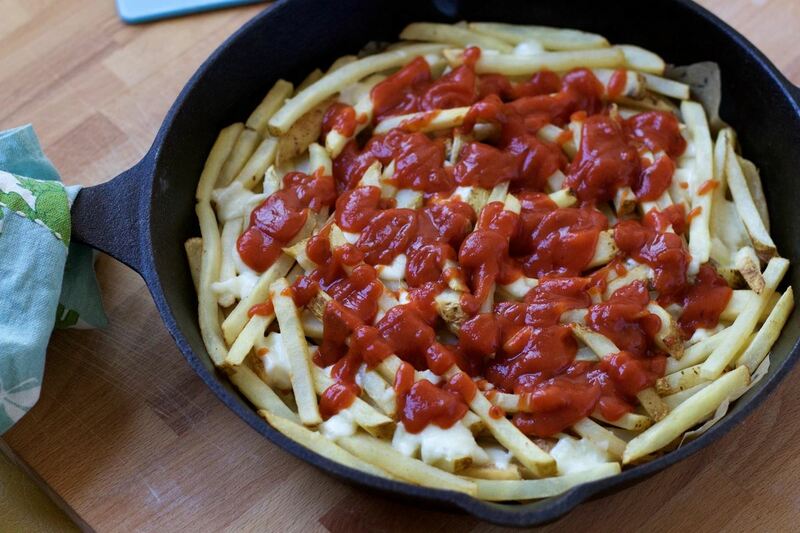 Take your skillet out of the oven and spread the sauce over the top of the melted cheese and fries. Place the remaining half of the mozzarella and the pepperoni on top of the sauce, and pop it back in the oven for another 15 to 20 minutes. Step 5: That's a Pizza Pie! Carefully remove your pizza from the skillet with a spatula and slice into desired portions. Pair with your beverage of choice (and by that, we mean beer) and enjoy! 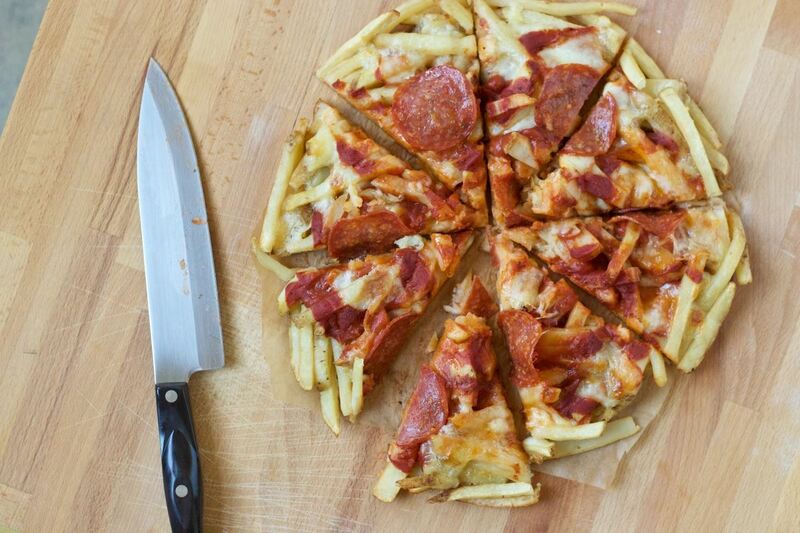 If you're not a traditionalist, you could give one of these more gourmet combos a try for creating your French fry pizza. The fry pie is as delicious to eat as it is fun to make. Next time, we might just try making it in our waffle iron! 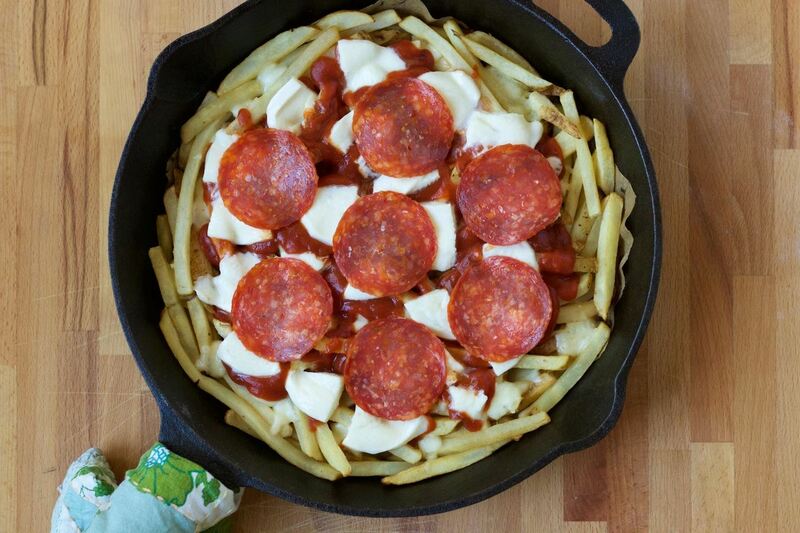 We bet we can make this out of soggy leftover fries as well.